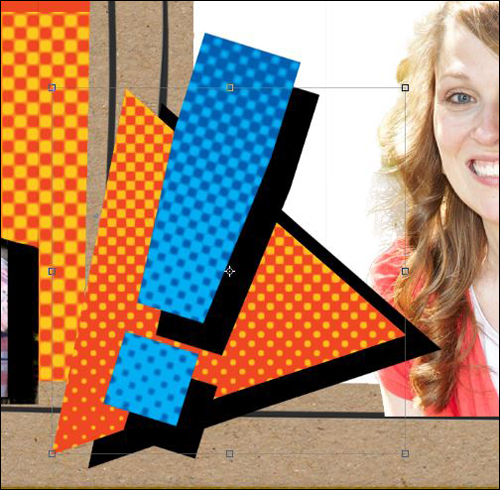 Today I want to show you how to how to make your own comic book shapes that will explode all over your page. 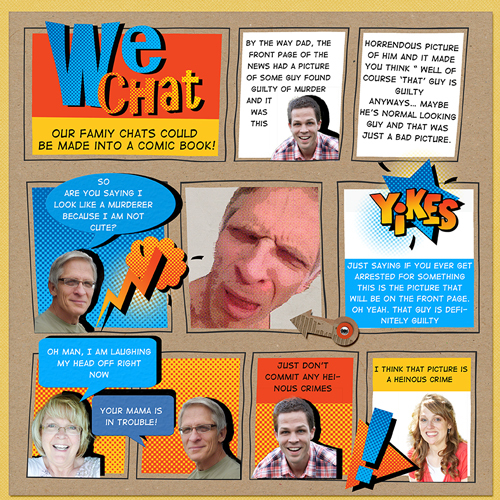 They are the perfect addition to Syndee Nuckles' September Premier Tutorial, Comic Book Layout. She has some great ideas for creating a fun comic book look. Be sure to check it out. Ready for some fun? Bam! Let’s go! In the Layers panel, activate the top layer. In the Tool Options, set the Style to None and click on the Create New Shape Layer icon. (Photoshop: In the Options Bar, set the Tool Mode to Shape (Layer), the Path Operations to New Layer, and the Opacity to 100%.) Set the Sides to 3. On the document, click and drag to create a triangle shape. Press Ctrl J (Mac: Cmd J) to duplicate the shape. In the dialog box, choose a color and click OK. I used Hex Code #fec61e. Click on the Background Color Chip to open the Color Picker. In the dialog box, choose a color and click OK. I used Hex Code #ef4722. In the Layers panel, with the duplicate triangle layer active, Ctrl click (Mac: Cmd click) on the thumbnail of the duplicated triangle layer to get a selection outline. 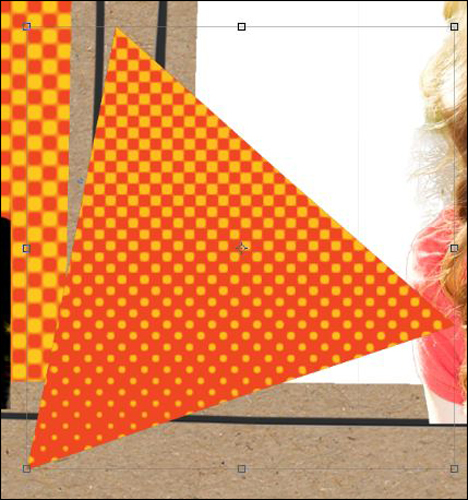 On the document, click bellow the triangle and drag up to around the middle of the triangle to apply the gradient. In the dialog box, open the Sketch folder and choose Halftone Pattern. Set the Size to 6, the Contrast to 35, and the Pattern Type to Dot. Click OK.
Press Ctrl D (Mac: Cmd D) to deselect. Note: These filter settings will depend on the size of your shape, so adjust them to your liking. 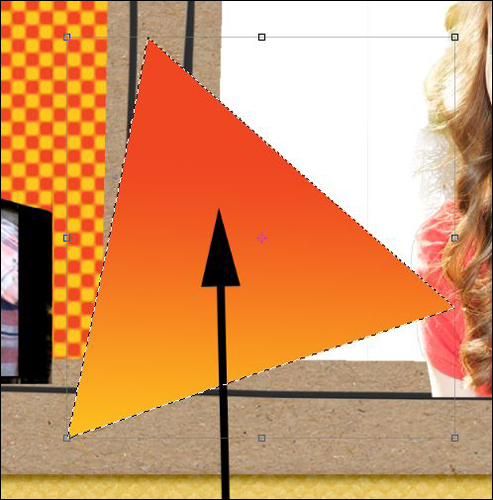 In the Layers panel, activate the original black triangle layer. 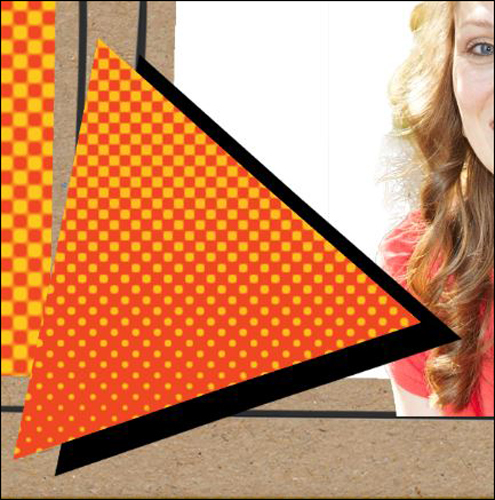 On the document, click and drag the black triangle to the right and down to make an exaggerated shadow. To finish off my cartoon shape, I added an exclamation point, found in the Custom Shape tool, using the same steps as above. You can also add journaling on top of your shapes to make fun word art. 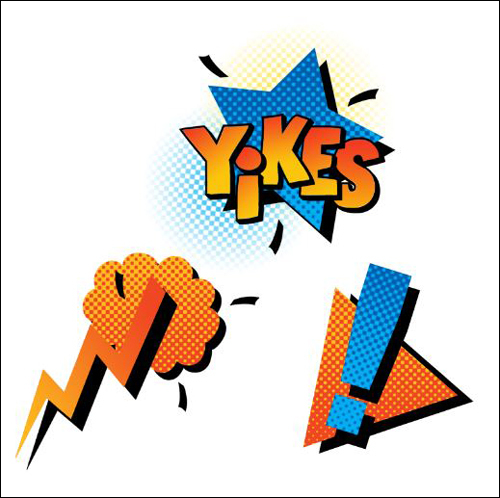 Here are a few comic explosions that I came up with using fonts and different shapes that can be found in Photoshop and Photoshop Elements. The slanted black lines were made by using the Check Mark shape found in the Custom Shape tool and erasing part of the bottom. For help adding a gradient to the font, check out my tutorial, Filled Font Trick. Skip Step Four and apply a gradient instead. Here is my finished layout. Can you tell that I really liked using this technique? I can’t wait to see how you use it. 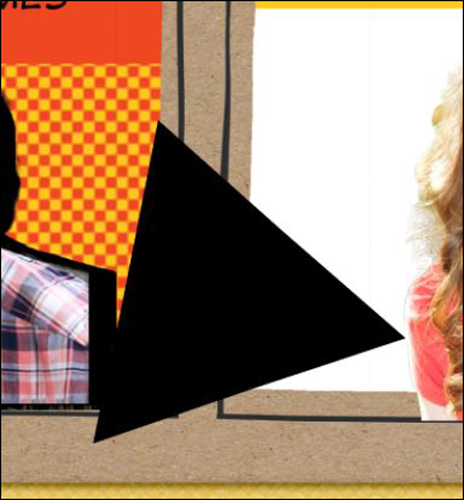 Post your layouts in the Digi Scrap Tutorial Gallery so I won’t miss seeing them! WOW – these shapes are great!!! The half tone fillers are so versatile and could be used for many other options as well. Thank you. I agree Janine, there are endless possibilities. You are so welcome. Now you know. Looking forward to seeing what you do with it. I am looking forward to using this technique. You were outstanding on the comic page. 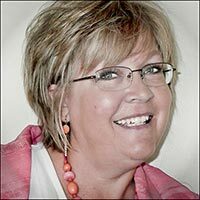 Thanks Annette, I hope you do use it and thanks for the kind comment. I love these halftone shapes and they really stand out with your shadow behind them. Great idea! Thanks for the tutorial. You are so very welcome Donna. You always have such clever ideas. Love each one of them. This layout is so funny. Terri, What a sweet thing to say. Thank you.